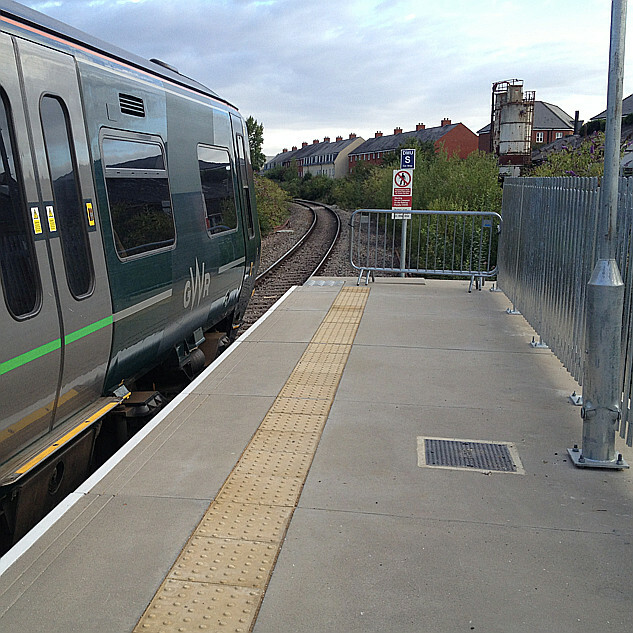 £300,000 is allocated to the rail study. The aim is a 90 minute journey time. Only 3% of the line has been built on. They're still continuing to ruminate over the M4 relief road, so a backwater railway line miles away from Cardiff has little chance I suspect! A relatively cheap token gesture to placate the residents of west Wales I would suggest. The BCR is unlikely to be great, though a roughly costed scheme could be useful bargaining chip with Westminster. Yes, there's a long list of reopenings that should be ahead of this one in the queue. ...it is readily apparent that the scheme does not present a positive economic case. As such the scheme is only likely to be progressed in regard to wider societal needs, and strategic aims, the consideration of which is beyond the scope of this study. ...or any other, at a guess. A welsh friend once suggested that Cardiff was a rotten place to have as the capital of Wales because it is so difficult to get to from the north of the principality. Shrewsbury would have been much better, if only certain difficulties could have been overcome (like it being in England). To get from Aberystwyth to Cardiff by train, via Shrewsbury, takes between four and four-and-a-half hours. The suggested running time for Aberystwyth - Carmarthen is 80 mins, so realistically (allowing for a change and 105 mins from Carmarthen to Cardiff) it should be possible to shave over an hour off that journey. Logic might suggest the geographic centre of Wales - which is Carno. Having lived in Aberystwyth and worked in Pembroke at the same time this would have been great rather than the very long bus trip with changes. Apart from my personal requirements from 30 years ago though I think the proposal does raise some valid questions about North/South transport. As Red Squirrel mentions transport links to Cardiff are poor from the rest of Wales so there's maybe a political argument for it. At the moment anyone from North and Central Wales has to take the very long route round. And while the population of Aberystwyth is low it is a university town with a lot of students from Cardiff/Swansea as well as tourist trade and the rail line could open it up a lot more. I think the business case would need to be more about the wider social impact rather than the headline number of passengers. Is the next alternative the old Mid Wales line; Newtown. Llanidloes, Rhayader, Builth and Brecon. Bring them a bit closer to Cardiff. Apologies for English spellings, old brain can't manage the Welsh anymore (if it ever could! ).